YOUR CATCH ALL FISH are Brain Spiked and Brined On Capture. No Fish Gut,Gilled or Filleted on board unless fillet is over 40cms as Per DPI REGULATIONS. Other storage arrangements for your catch can be made for those on holidays. Your catch will be iced for the trip home. 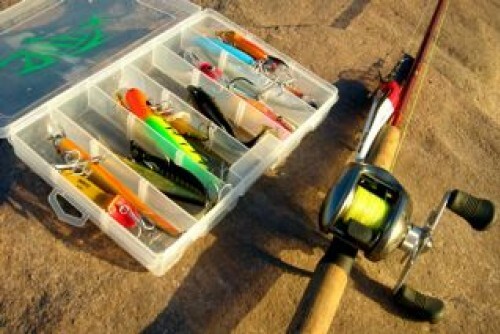 OUR TACKLE consists of overheads, Baitrunner 6500s and the reliable ALVEY 750s. All the best fresh baits are used, including live and cut yakkas. You are normally wetting a line within 60 mins after departure. We also have a 12 hr Special Charter is recommended for “The More Experienced Fishos”. FULL GROUPS can be picked up at Norman Point in Tin Can Bay, (adjacent to the Coastguard building). Departure Point: Carlo Point which is at the end of Carlo Rd, Rainbow Beach. We can be located behind the green Restaurant. Inclusions: Sunscreens are provided and you may bring Alcohol if you wish. All bait and tackle is provided.You are fully catered for on BAITRUNNER with morning tea, lunch and afternoon tea as well as soft drinks, tea and coffee being provided free of charge. Exclusions: Please just bring your hat, sunnies and camera with you. You can bring your own rod if you wish. We will take photos of your catch and can arrange video footage on request. BAITRUNNER is Skippered by CRAIG who resides at RAINBOW BEACH. Craig has many years experience working offshore vessels. 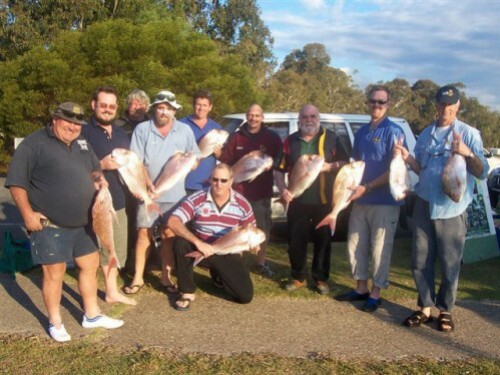 Craig has worked as a Professional Fisherman / Crabber for many years in Qld Waters including 15yrs in this area. Craig has Skippered Baitrunner for nearly 3 years and given the chance will “out-fish” anyone. Tony (owner) normally handles the deck duties and has worked Baitrunner for 7.5years. 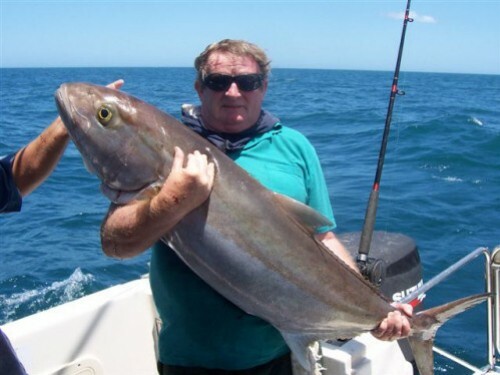 Originally owned Rainbow Beach Houseboats for 8 yrs, and has more than 40 yrs experience in boating and with 15yrs experience fishing in these waters we can definitely put you on the fish. 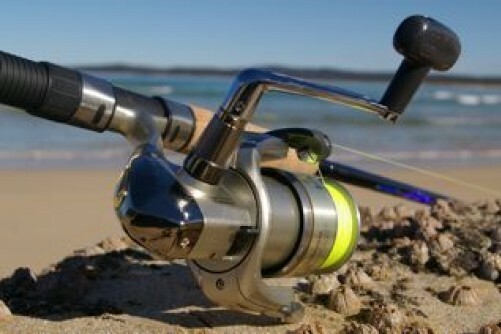 Many of our clients claim big prizes at the Rainbow Beach Fishing Classic. Rosie is the Chef and wont leave you disappointed. We have operated Baitrunner for 7.5 years and have over 600 charters logged (01/01/08). Some of our regulars do 20 – 30 trips per year. The vessel BAITRUNNER is a 32Ft COUGAR-CAT powered by 2 x 250 HP SUZUKI 4 Stroke Outboards with a top speed of 33 Knots when fully laden. Cruising at an economical 24-25 knots, you will be on the fishing grounds quickly. COUGAR-CATS are renowned for there soft ride on the plane. Comfortable : NO fumes like a diesel motor and very little noise. The vessel has a full bimini roof to keep the sun off on hot days and toilet facilities on board. The Vessel contains all the latest electrical equipment to find that big one, and to remain in contact with shore. On boarding our vessel you will be briefed by the crew on all the saftey aspects for going offshore as per MARITIME REGULATIONS. SAFETY is paramount with us and no risks will be taken crossing coastal bars. We want you to enjoy your trip with us and return as a satisfied customer. Smoking is allowed in certain areas and ashtrays are provided to protect Marine Wildlife.